There were some exciting video game happenings this week! Grand Theft Auto V got three new trailers—one big trailer?—for the three protagonists you get to control in Rockstar's next game. Bossman Stephen Totilo checked the game out for the very first time, and came away with a ton of details written with a ton of words. But he made you all a TL;DR version, too. We also debuted and completed a Visual History series of attractive video game characters through the decades. Far Cry 3: Blood Dragon came out, as did Iron Man 3 (the film). Enough to keep you busy for a while. To see all of our best coverage of these things and more, check out Kotaku Selects, where I round up our best content. 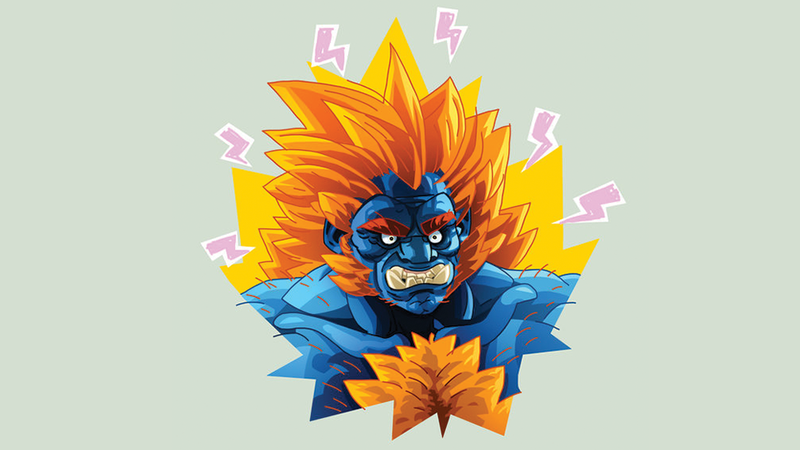 Up top is Blanka—who was always a favorite Street Fighter character of mine—designed by Carl Pearce. He's got another version up on his deviantART page, but I like this one more. It's also a little old, but it was brought to my attention thanks to Xombie Durge, and I just had to share.